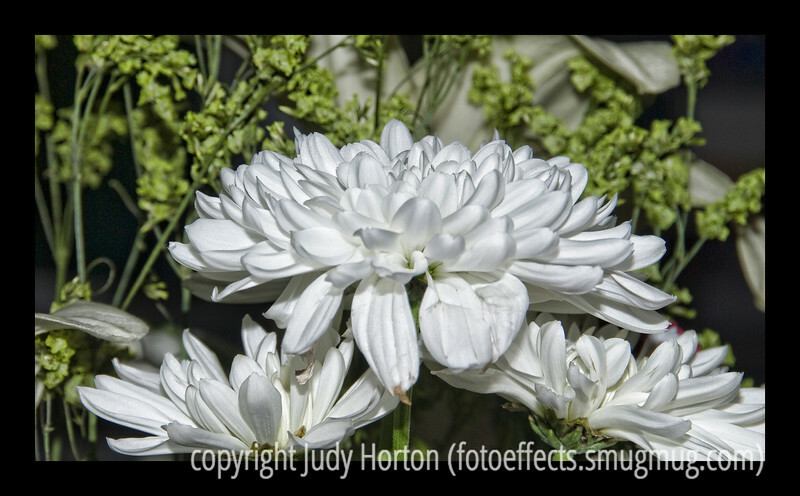 Day 131 - White chrysanthemums with statice in the background; this image really looks better in a larger size. I took it some time ago but had never processed it. I rediscovered it yesterday and decided to use it as my daily today. Like many of us, as winter drags on, I find myself drawn increasingly to images of flowers. I've loaded this photo and several new flower pics into my Flora and Fauna gallery. Thanks for all your comments on my latest Rocky Mountain National Park image. I have a gallery with quite a number of pictures from that trip, including photos of elk and bighorn sheep that we saw. We are supposed to have a pretty warm day, so the buds on the trees will swell even more. I know spring is just around the corner, although some of you are already experiencing it. Have a great day today! Beautiful! Love the light and composition! Beautiful shot ! Great details ! Stunning, absolutely stunning. Great work! Fantastic composition, awesome details, and DOF!